Well what a great Bowling Holiday out in sunny Tunisia we have just had, about 30 bowlers played every morning with Round Robins of Triples and Fours, Mystery Pairs, Fixed Jacks, and 4321, with prizes for the winners everyday. The first of three weeks was sunny and warm and a little too hot for some in the afternoon's, suntanned bodies would turn up in the morning eager to play in the sunny climate, then of for a 3 or 4 course lunch and then retire to the pool for the afternoon where waiters plied us with cold refreshments whilst we waited patiently for coffee cakes and pancakes in this delightful Hotel. 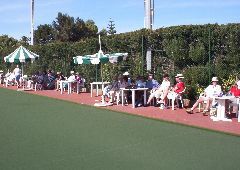 Finals day was held during the last Friday and we had good support from all the bowlers including some guest staying in and outside the Hotel. Presentation for the winners of Round Robins and competitions was held on Saturday at the green. Second week was a little nippy but the start of new competitions for the newly arrived and some of the guests staying on for a further 2 weeks there was plenty to play for. One morning when it was raining it was short mat time, we have two rinks so were able to have a knock out competition which resulted in lots of noise with the woods running onto the marble floor and lots of laughter. This is the first time short mat has been used since I have been there. 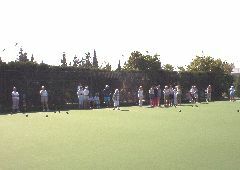 By the end of the week it was back to normal, warm & sunny and the competitions fully under way. We ran a mixed drawn pairs, mixed drawn triples, men and ladies singles which kept all involved arranging between themselves to hold play-offs during the afternoons and acknowledge by all on finals day as a roaring success. Hope you enjoy all the photos of the competitors and final winners who all went away happy with their prizes. We met lots of lovely people from Scotland to Cornwall, for some it was their first holiday with Mercian and for some their fourth but all expressed their wish to meet again on another Mercian organized trip. We are off on a fact finding holiday to Malta in April and look forward to being able to inform you of another wonderful venue and maybe whet your appetites with some good photographs. Please feel free to send any comments that you have regarding your own experiences of your holiday and maybe a photo or two which we all can view. 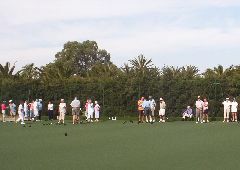 If your looking for a bowling holiday I can recommend Mercian Travel.co.uk. The hotel is a three story building in some 30 acres of gardens, located right on the beach, 500m from the shops, bars and restaurants, the marina at Port El Kantaoui and right next door to the Golf course. The Green Park has 298 guest rooms, separate bathroom and toilet, hairdryers, fitted carpets, telephone, central air conditioning/heating, small refrigerator, satellite TV, in room safe, most rooms have a balcony. 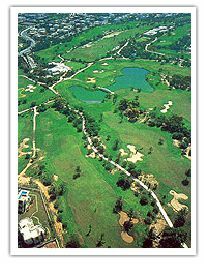 There is a lobby bar, piano bar, coffee shop and restaurant with buffet style meals. The arrangement will again be “All Inclusive” - with all meals and snacks, unlimited beverages, soft drinks and local alcoholic drinks. The hotel has a wellness health and spa center with hammam, sauna, beauty salon and massages and various treatments (local charge). There is an indoor heated swimming pool and two outdoor pools. There is a full size bowling green and short mat bowling will be available if the weather is inclement. The inclusive cost of this holiday based on sharing a twin bedded room, all inclusive throughout the holiday, this includes breakfast, lunch, dinner, morning and afternoon snacks, tea, coffee, local alcoholic beverages, excluding imported wine, safety deposit box, return air fares, transfers, welcome cocktail party, your bowling and prizes, farewell drinks and the services of the Mercian team are all included. More bowling holidays and yes they did come to the Mazda and had a great day. Read all about it.